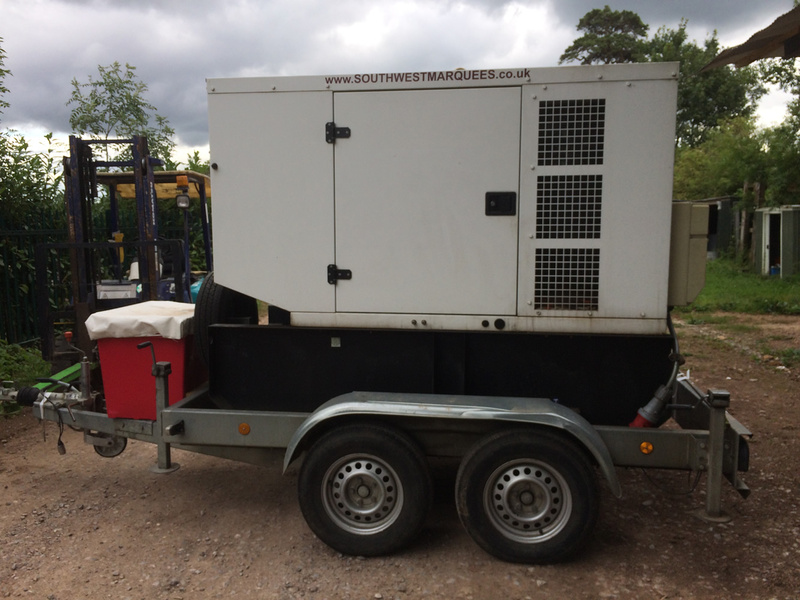 South West Marquees take the guesswork out of your event by providing portable generators to allow for a reliable power supply package to suit your needs. Our expert team of professionals ensure that all the necessary setup, maintenance, and removal from the site is taken care of so that you can have one less thing to worry about in making sure your special event, party, corporate venue goes according smoothly according to plan. The price of our generator packages include all of the necessary cable connections, power inputs, and electrical switches, as well as a durable superior quality power unit. Depending on the venue and energy needs for your event, we can provide generators ranging from 25kva all the way up to 100kva as required. 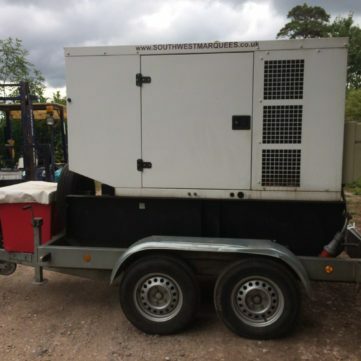 Our generators are delivered via trailer, and our team of professional installation experts ensure to place the unit appropriately, install all necessary cables and units, and stream the power in any area of the marquee including the music, bar, and catering/ kitchen areas. As the host of the event you have full control of simply turning the unit off and on as needed throughout the event. Our superior quality generators are quiet and discreet, and the unit can also be placed in a hidden area as far from the marquee as possible, in order to ensure even more noise reduction possibilities. Our generators are guaranteed for reliability as they are completely owned by South West Marquees and undergo regular maintenance. 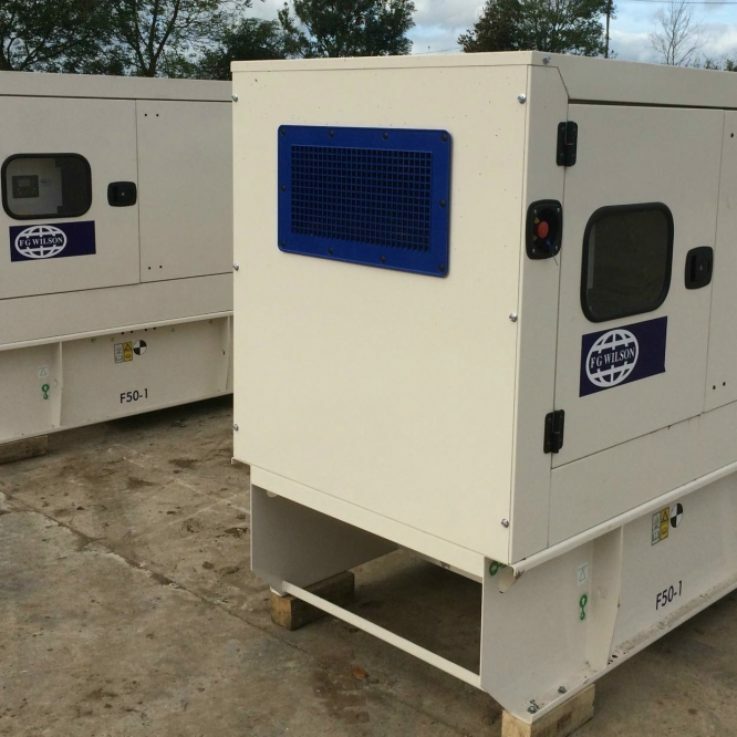 Generator packages are pre-paid prior to your event and £10 is charged per every hour of operating. This fee is charged after the event, and covers the cost of fuel based on the energy meter which is available to monitor by the host of the event. 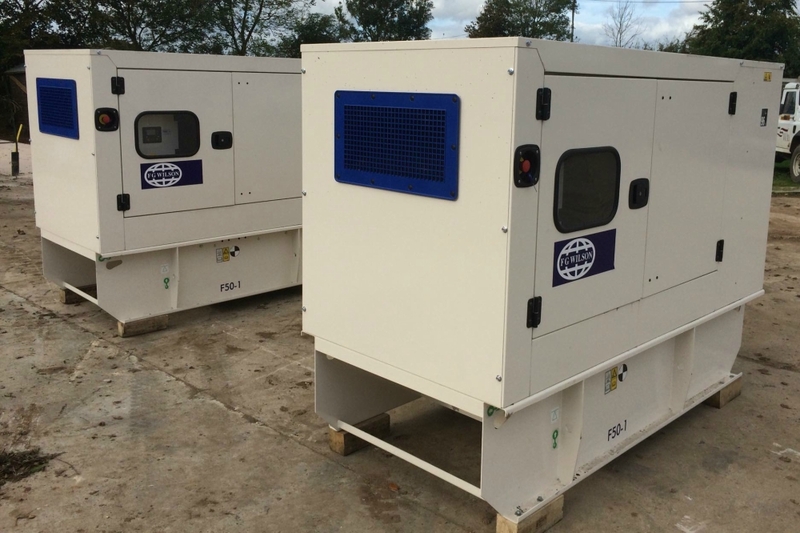 As of 2018 we have expanded our capacity to include 2 additional 50kva generator units which further enhance our power capability to fit your growing needs. 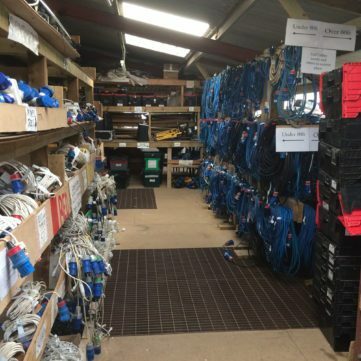 In the event that your venue already contains a reliable power source, we can connect a line of electrical feed connections to use in exchange for the generator. 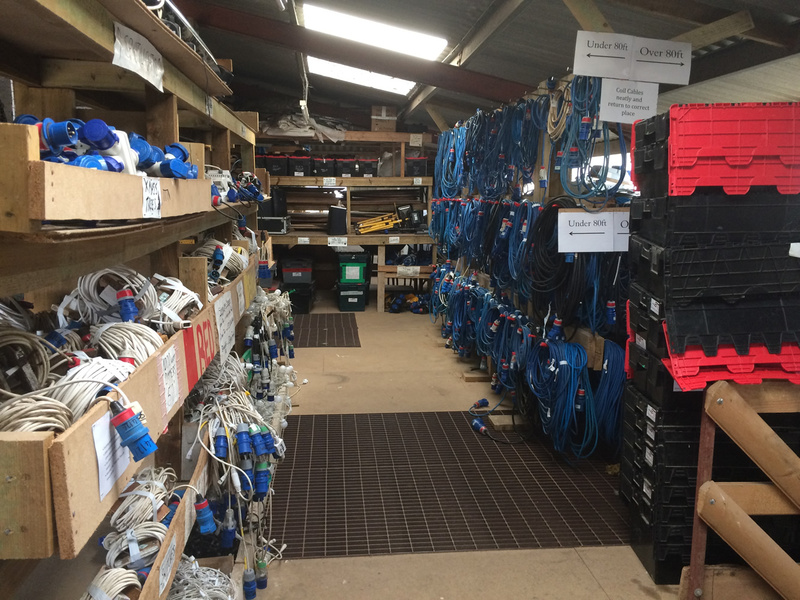 These connections however would require installation by an electrician, and then our team can provide the cables and distribution units within the required power source areas, marquee, and to the switch points. These feed systems are also quiet so as not to disturb your event as well as being reliable and budget friendly, starting at just £100 and require no additional cost for fuel. All you will need to provide us is the estimated potential of your electrical needs for your venue/event so that we can determine the most suitable package for you.